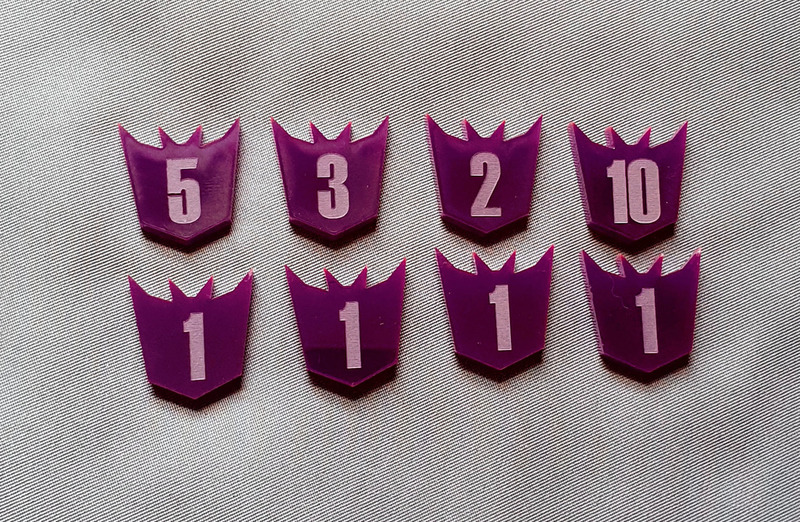 This set of 8 double sided tokens are to track the damage done to each of your characters in the Transformers trading card game. 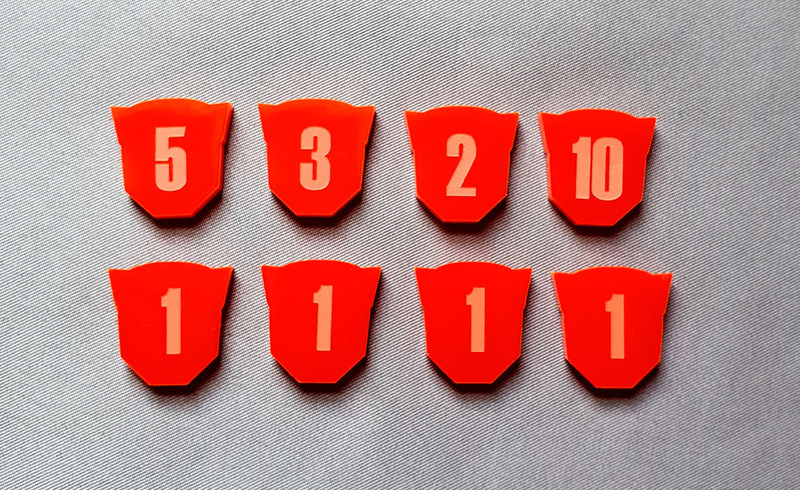 Each token has a '1' on one side. 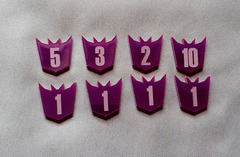 Available in 2 shapes - 'Bots' in red or 'Cons' in purple.